New in 2019, the Half will see participants take on the first Half Distance Triathlon event taking place on the Lac Leman. Featuring 1.9km of swimming, 90km of cycling and 21.1km of running. Why race the Half Distance? Challenge yourself on a beautiful and fast course in the heart of Geneva. The Half race is open to relay teams. Two or three team members, three sports, one race. Take part with your training partners, friends, colleagues or family to complete your first Triathlon as a team. 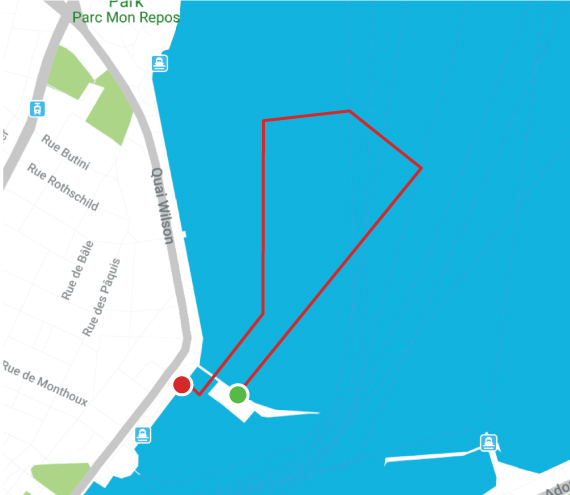 Starting from the Bains des Pâquis, you will swim 1900m and pass under the jetty for the Bains des Pâquis before exiting the water through moored boats in the port. 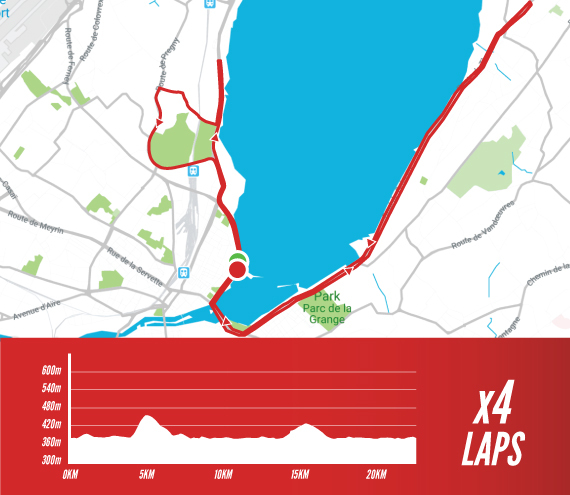 The 4-loop, 90km bike course extends along both sides of the lake. To start you will head along the lake to reach the 1km climb up the Chemin de l’impératrice, before descending back to the lakeside past the Place des Nations and United Nations to then head over the Mont Blanc bridge and up the left-hand side of the lake. Once you contour the Jardins Anglais you will head along the flat towards Vesenaz where a short false flat uphill awaits into the turnaround point. The route then brings you back along the lake and over the bridge to reach transition. 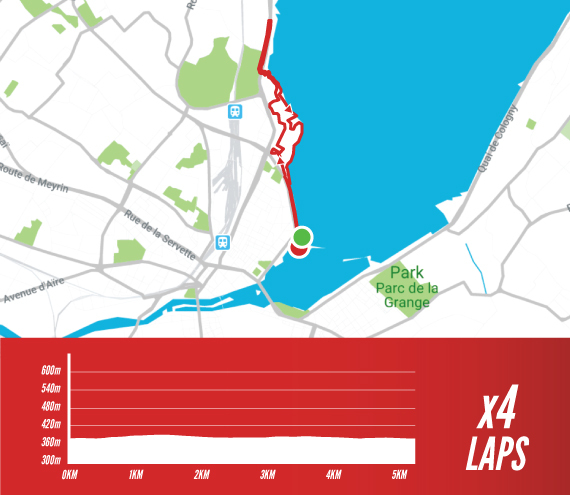 The Half-Marathon course is a 4-loop route along the lake and through the Mon Repos and Barton Parcs. Each loop is relatively flat and fast, and snakes through the trees in parts to provide some shade late on in the race.